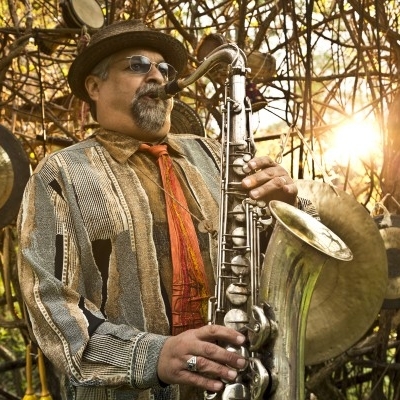 As a kid growing up in 1950s Cleveland, Joe Lovano was surrounded by jazz. His father Tony — aka “Big T” — was a barber by day and a tenor sax player by night, and the family household was often filled with local and touring musicians. Lovano, who picked up his first sax at age five, admits that such experiences can rub off on a guy, and he’s followed his own musical muse ever since. On April 21, Lovano, now 65, will follow that muse to the Barrymore Theatre, performing with a quartet he describes as “co-led” with guitarist John Scofield,who is 66. In addition to Lovano and Scofield, bassist Ben Street and drummer Bill Stewart round out the lineup. The evening’s playlist will feature compositions by Lovano and Scofield, both multiple Grammy Award winners, and old favorites that help stretch the notion that jazz is eternal.